Digimon Pendulum Ver.20th (デジモンペンデュラム ver.20th Dejimon Pendyuramu ver.20th) is the remake of the original Digimon Pendulum Virtual Pet for the 20th Anniversary of the device. It contains all of the previous Digimon from the Pendulum generation Digimon Virtual Pet line but is not all obtainable in one device. The Pendulum generation are now divided into two halves and is exclusives to each specific device. 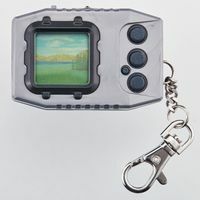 It maintains most of the features from Digital Monster Ver.20th such as raising two Digimon at once but also adds a lot more new features such as Copymon appearing as a partner for each Digimon on screen and a pause option with a freezer. The Jogress features makes a comeback and is now able to even combine with copied Digimon. Same as the previous 20th, each color variation contain some exclusives Digimon which is unobtainable on different color. There are 4 colors of the Digimon Pendulum Ver.20th, each of which have their own exclusive Digimon that can be acquired. Wave 1 consists of the Original Silver Black and the Original Silver Blue colors, while Wave 2 consists of the Dukemon and Beelzebumon colors. 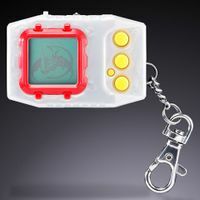 Six available eggs are based on the original six versions of the Digimon Pendulum, with version X.5 Digimon included in the same egg groups as the version X.0 Digimon. 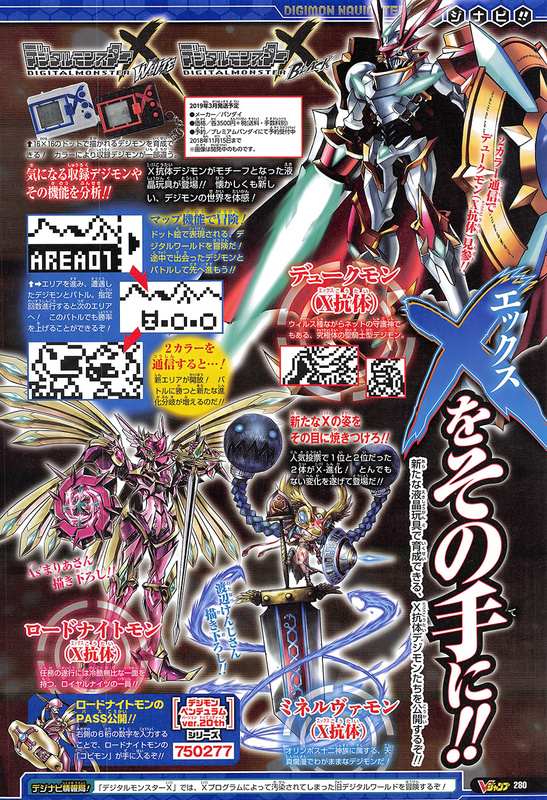 Additional Digimon that were not featured in the original versions were also added to the Wind Guardians and Virus Buster eggs. This table demonstrates which eggs are found on each color based on how they are unlocked. Press A and B at the same time on the "? EGG" or "COMPUTER" to choose a new egg. 2nd Egg will unlocked when your first Digimon evolves to Child Level. Press A and C at the same time to mute sound. A and C can also be used to change the time on the clock menu. Each times the Digimon evolves, all the previous counters will reset. This reset includes the amount of training/care mistake/injury/overfeed. Winning percentage in battle plays an important role in natural evolution to the Perfect levels. Keep it at 80% and above for a higher chance of evolving. Effort: 4 Succesful training fills 1 effort meter. The effort meter is permanent for each level and is important for evolution route to Adult level. DP: DP is needed to battle and jogress. This meter can be filled either by forcing pills, a full sleep or put in freezer for a few hours. Battles and Jogress: Battles are represented with B and Jogress is represented with J. if it is able the 'O' sign will appear, if it cant the 'X' sign will appear instead. Only successful training are counted. Successful tag training counts for both Digimon. You can press B to skip the training animation after the count screen. Tag training, shake count follows the first Digimon that appears on screen. choosing 'START' will reset back to stage 1, this is useful if you're aiming for high win percentage. Copied Digimon will appear as Copymon and is able to join in tag battle and Jogress if compatible. It will also not be registered into your album. Players can send a copy of any Digimon that they have in their album, even if it has passed away or Joggressed. You can access Gigahit if you have a compatible Digimon partnered up. Digimon can only Jogress if it has a full DP meter. For the time being Jogress chart is not yet fully confirmed as some of the evolution route has been reworked from the 1998 versions. 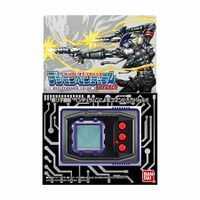 Copied Digimon from Digital Monster ver.20th can also used for Jogress. But the copied Digimon will be gone once it has Jogressed. A new feature has been added in which you can input a specific 6 digit code and obtain up to 10 exclusive Digimon as a copy Digimon. 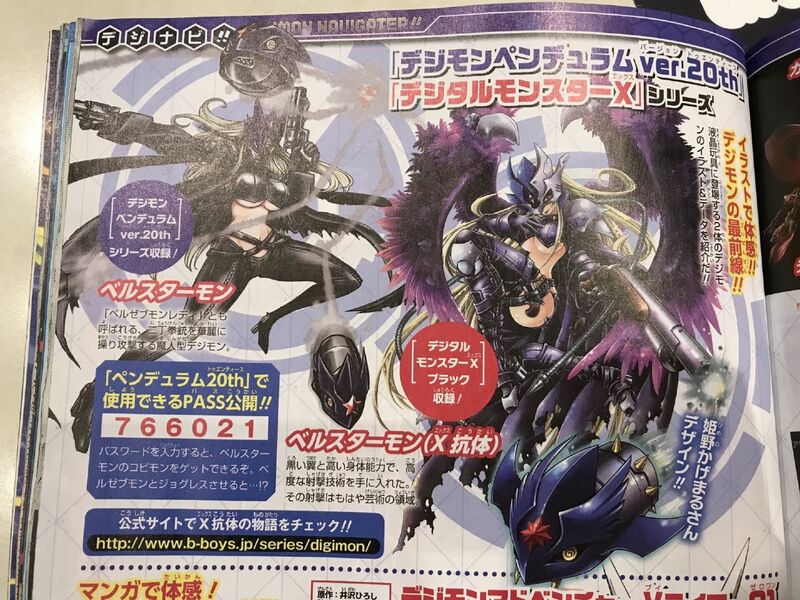 This exclusive Digimon includes Magnamon, Stingmon and Susanoomon. 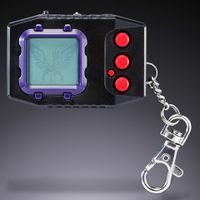 Digimon such as Stingmon are important since it is currently the only known way to access the route to Imperialdramon. Bandai will slowly release the code through different medium such as the anime, games and online promotion. Currently no codes has been released yet. If you put Digimon to sleep outside of its sleeping time, the Digimon will be freezed inside a freezer. During freezer mode evolution time is freezed and Digimon will be safe from care mistake. Full DP will also recover within a few hours of freezer mode. A community guide has been developed by humulos, which contains evolution charts for all of the egg groups. A traited Egg increase the natural evolution percentage by 10% each time. To obtain traited egg, the Digimon must at least lived a few days (2 days minimum) after evolution. Also try to fill the effort meter and do a couple of battles. This usually will result in Traited Egg in which the Digimon will leave a new Egg instead of a computer grave when it time to fade. You can cheat death if you continuously shake during the death animation theme, the Digimon will revive afterwards. This can be done continuously without limit as long as the shake counts is consistent and fast enough throughout the death theme. You can avoid care mistakes by changing the time to night time and let it sleep. Evolution is not halted during sleep time this is a great method to evolve manually from Perfect to Ultimate level for vaccine ultimate level. 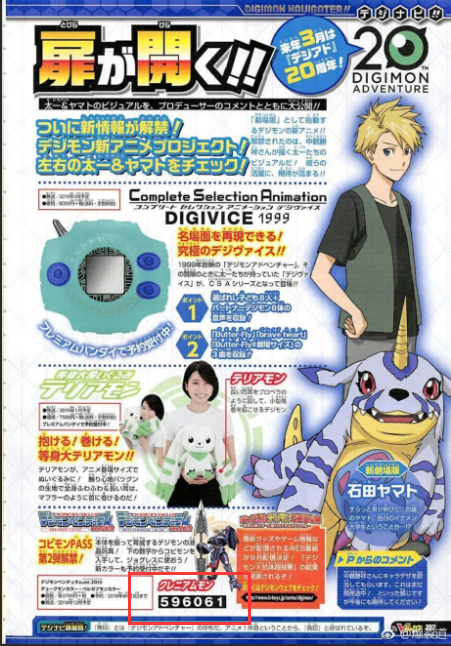 4 pills will restore 1 DP, but once the Digimon has reach 99g weight it will become sick. once you heal it, go back to the pill menu and feed it to full DP. This is only recommended during urgent times. Pendulum 20th features a motion sensor shake, so the clanking sound during shakes does not indicates the number of counts but your motion is counted. When the counting screen appears, you can hear a little beep at the end which signals the end of counting shake. So if you are aiming for a specific shake number,those numbers need to be hit before the beep is heard. Ultimate level Megahit shake counts depends on their typing, and Vaccine type usually need an exact shakes of either 6,7 or 8 for a Megahit. 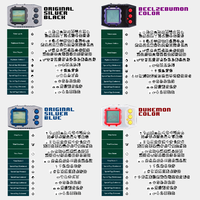 Data Type usually around 14-20 depending on the Digimon (this is really hard to get exact). While the easiest is Virus and Free type which just needs you go above 20+ shakes, so just shake as fast as you could. 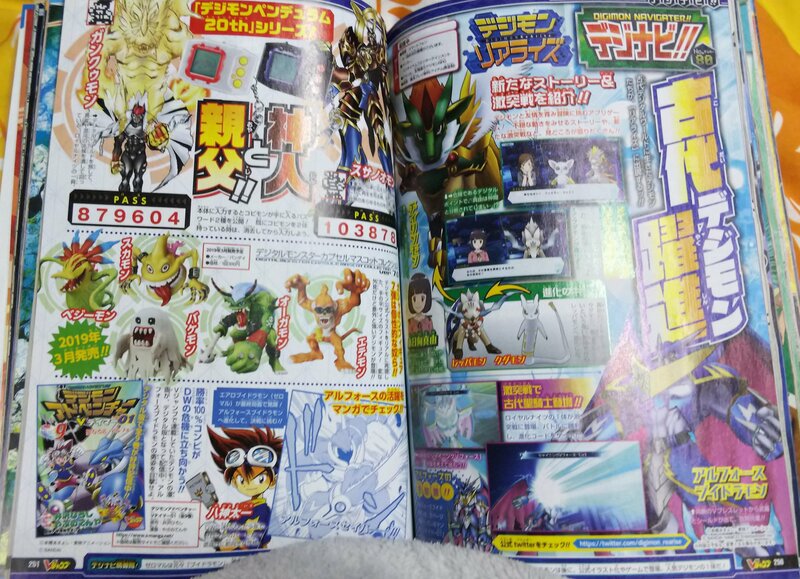 The Digimon will be become one if it was Jogressed, and a new egg is unlocked on the 2nd screen. If Jogressed with a copy, the copied Digimon will be erased afterwards. To Input password go to the Library Menu (the 8th menu) and select 'Record', Input the password listed to unlock the Copymon. The Jogress features has been fully reworked and some of the Digimon that was not able to Jogress on the older version are able to do so now. Such examples are Jagamon and Whamon. 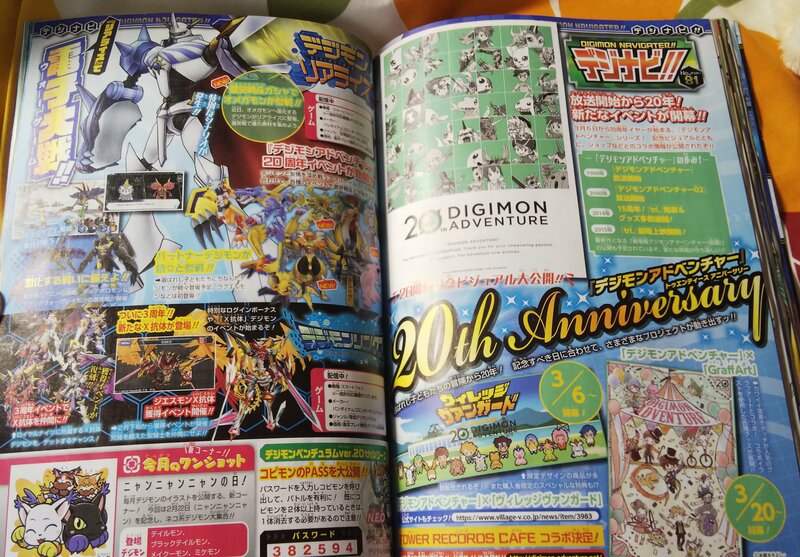 Some Digimon that has already appeared from the Digital Monster Ver.20th can be copied and Jogressed with compatible Digimon. 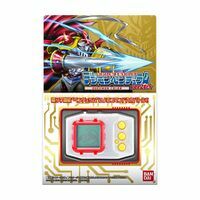 Imperialdramon (Fighter Mode) and Belphemon (Rage Mode)'s sprites when sleeping appear in their Dragon Mode and Sleep Mode, respectively. 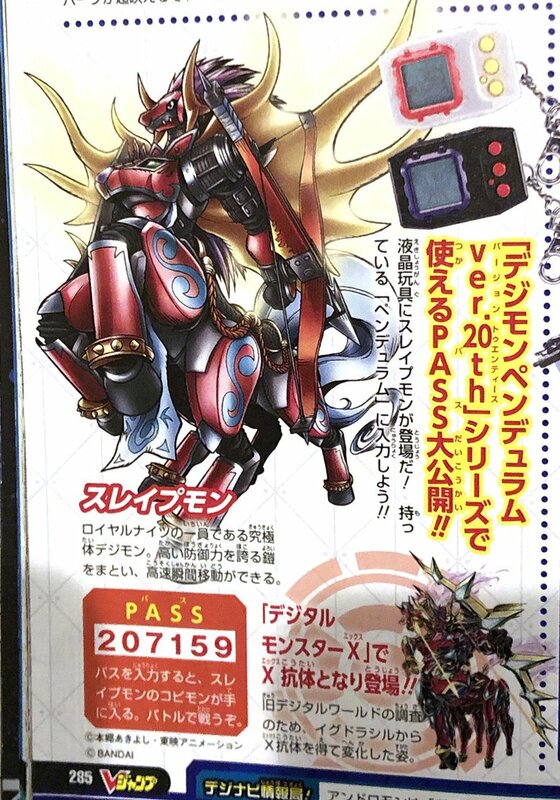 Jesmon X-Antibody is the only Digimon that has 70 DP without the need of Jogress. 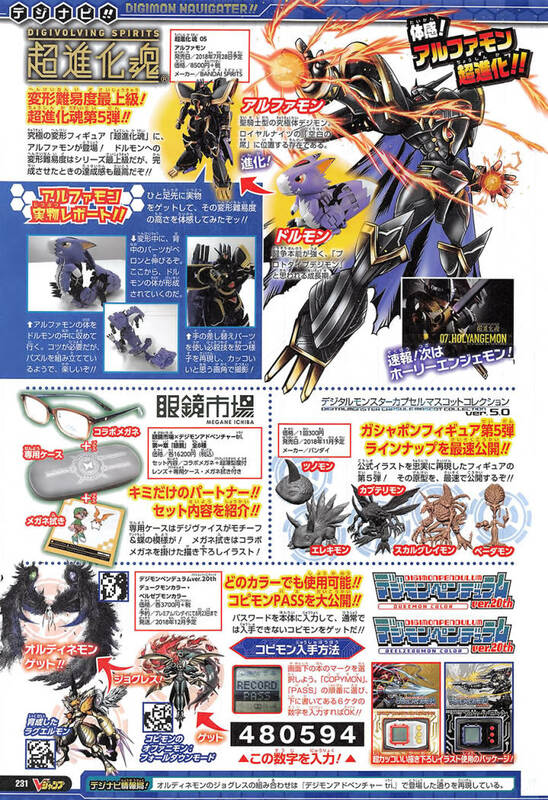 Copipemon appears in the booklets of the Digimon Pendulum Ver.20th as a spoof on the new Copymon feature. This page was last modified on 9 April 2019, at 20:23.